Looking for a Family Doctor? Tips from a Doc! When it comes to the medical profession, I’m a skeptic. Not in a “not going to vaccinate” kind of way, but I’ve realized over the years that just because someone is a doctor, it doesn’t mean they’re a good doctor. I’ve had doctors fail to call me back when I was bleeding during pregnancy. I had a doctor who, on a follow-up visit to check on the itchiest leg rash in the history of humanity, didn’t even have me show him the rash. I’ve never hesitated to fire a doctor if it was clear he or she wasn’t really paying attention to me — or if they were making me wait hours in the waiting room. When you find a good doctor, you embrace them. You figuratively hug them tight and hope they don’t retire or move — or that you don’t move away from them. My kids’ pediatrician, in particular, is one of my favorite doctors ever. And it’s a good thing because we’ve seen her a lot over the last five years. But how do you find that holy grail family doctor? How do you find the prized pediatrician? One doctor, J. S. Vangrow, author of Predatory Medicine, has tips. 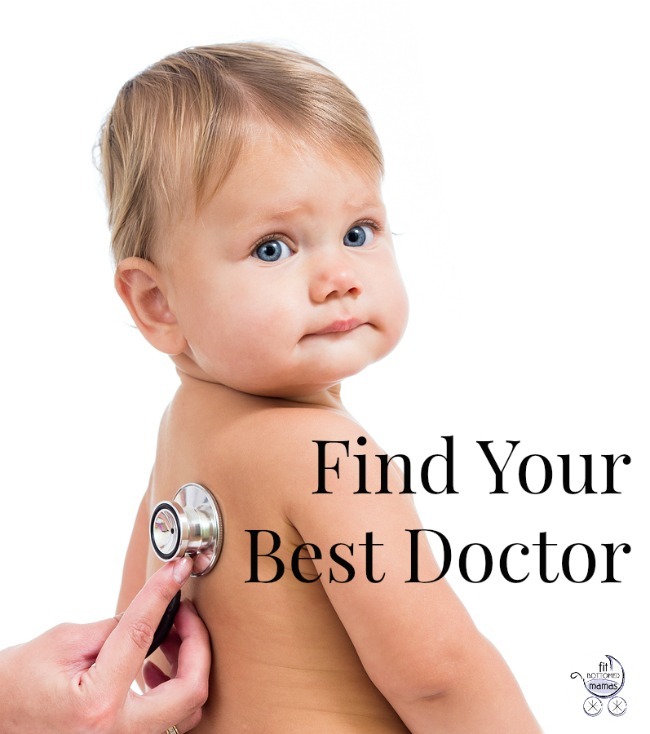 Your best tips for finding a doctor? There is no certainty that the physician you choose will be perfect for you. You want to select a doctor who is competent, caring, and takes the time to treat you as an individual. My first inclination is to ask your relatives and friends about their physician. If they feel very positive that would be a good place to start. Less subjectively, contacting the local medical society or the hospital nearby will afford you a list of physicians that are properly credentialed, then you would need to select one. In order to assist in that effort you would need to do some more investigating. Much information about doctors is available online. You would like to verify the level of training and board certification. There may be special concerns you are interested in such as age, gender, ethnicity, languages spoken, office location, and so on. All this is available. Once you select a physician you may consider going to the Medical Board website to determine if the doctor has any outstanding judgments or other types of issues. There are also commercial websites that grade doctors that might be of interest. The bottom line is that all these efforts may inform you the doctor is well trained and in good standing, but until you actually meet him or her you may not know if this physician will meet your needs. Any warning signs to watch out for when seeing a doctor? This is a difficult topic that is covered in detail in my book, Predatory Medicine. There are doctors that seem gruff and impersonal, but they may be the most competent. There are others that appear very friendly and personable, but are incompetent. It is difficult for the individual to know. In my book, I list numerous ways one can tell. One simple clue is if on the initial visit a complete detailed History and Physical is not obtained, taking at least 10 to 15 minutes — that should be a clue. Also, if the doctor listens to you heart and lungs or examines your abdomen through your clothing, it should cause concern. When should you seek a second opinion? I would always suggest a second opinion if a serious diagnosis is made — cancer, advanced heart disease, or any condition that may significantly alter your life. It may be wise to seek a second opinion if a major surgery or other procedure is recommended. It is clearly recommended if you have a problem and the doctor seems unable to elucidate it after a reasonable period of time and multiple tests. Thanks to Dr. Vangrow for the tips. When it comes to you and your family’s health, don’t settle for a doctor you don’t feel comfortable with or one who you think isn’t up to the task. Remember, you’re in charge of your health. You don’t owe a bad doctor another minute of your time. My family just moved and we are trying to find a doctor. Thanks for the advice about how you want to find a doctor who is caring and kind. I would also suggest getting a doctor that is up-to-date with the latest technology.